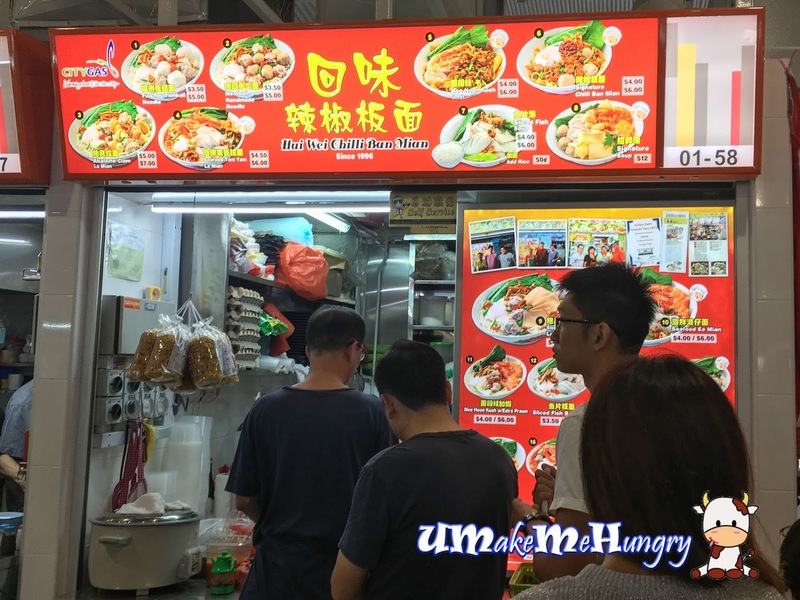 While walking around in the Hawker Centre and didn't know what I can eat, I happened to come across some queues at this Chilli Ban Mian Stall and decided to try it. The food caught my attention as this stall is not the mainstream kind of dishes like fishball noodle, carrot cake which I'm going for my breakfast. There are alot of variation of orders beside serving in Soup pr dry. 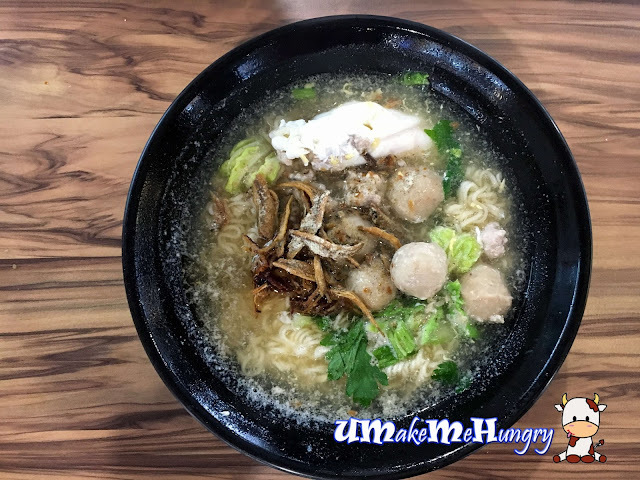 You have have ingredients like Seafood, prawn, fried fish, meat balls and even abalone. It comes in dry or soup version and even in Tom Yum. Just like the usual bowl of Handmade Noodle, I had mine with additional Abalone Slices on top of minced meat, egg, vegetables. The chilli was both sweet and sour. Apart of that the soup Ban Mee was pretty ordinary. The hungry stomach will always go for the bigger portion. With the choice of Koka Noodles and meatball as its ingredients. The soup base is similar as above topped with fried Ikan Billis, coriander. 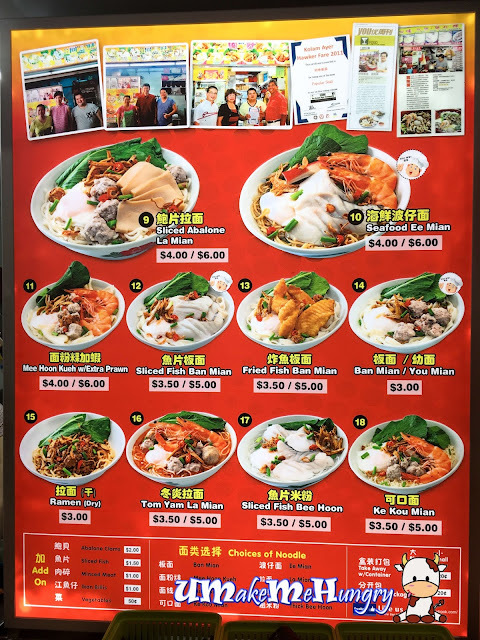 Overall, taste was pretty ordinary for me, perhaps I should have order Chilli Ban Mee which is kind of their Signature as stated on the signboard. Well, till I come again, I will order the dry version.